“Dragon Con!” Rambo screams from a balcony, a toy machine gun in one hand and a glass of amber liquor in the other. He howls a “Wooo!” to the wind and pulls the trigger on the toy gun, the tinny noise of electronic bullets lost amongst the din of the crowd. Ninjas, robots, space marines, pirates, characters from video games, anime and comic books all ignore him as they congregate at the hotel doors, trying to escape the Georgia humidity. Air conditioning blows like a forgotten promise behind the glass doors, waiting to cool the mass of fanboys and fangirls. Costumes elaborate as spiderwebs and lies pose beneath the admiring eyes of cameras inside the lobby. Leaning against the doorway, Superman smokes a cigarette with Flash and Green Lantern; a half-naked Justice League taking a smoke break before pulling on the spandex for another traipse through the Hyatt Regency. One of the largest conventions in the southeast U.S., Dragon Con recently suffered a name change but retained its fun. 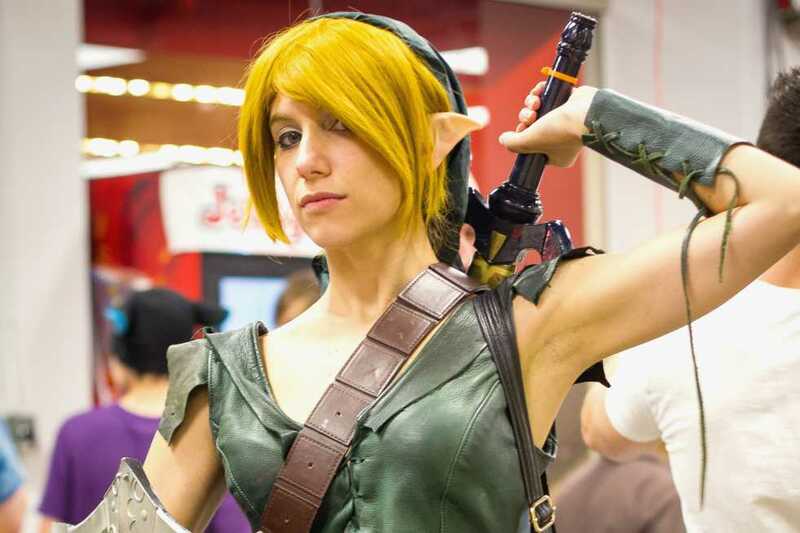 Lovingly referred to as the Mardi Gras of sci-fi and fantasy conventions by its patrons, Dragon Con boasted a plethora of fans enjoying a relaxed atmosphere. Every Labor Day weekend, Atlanta dons a cape and plays host to the most popular names in science fiction and fantasy of all media. A stroll around the Walk of Fame this year introduced fans to such television and movie stars as George Takei (Star Trek), John Barrowman (Torchwood) and James Marsters (Buffy the Vampire Slayer). Voice actors like John DiMaggio (Bender from Futurama) and Phil Lamarr (the eponymous Samurai Jack) were also signing prints for their beloved public. There were also authors such as Jim Butcher of the Dresden Files series ready to sign their books. After, of course, there was the requisite hour-and-a-half wait in line. These long waits can be a blessing, however. Odds are, the people in line have at least one thing in common and friendships develop quickly between those who are waiting. Such friendships can last for the rest of the convention. The Comic Book and Art Galleries showcased some of the amazing talent behind the pens, pencils and paintbrushes of the visual arts. Comic legends such as Neal Adams and George Pérez took commissions for those willing to pay. Auctions controlled the Artist’s Gallery. Everything from canvas paintings to masks to wire chess sets were available for bidding. These interactions between creators and fans is a highlight of any convention because there is a direct connection between artist and reader. Even the smaller and upcoming names, such as Yale Stewart, writer/artist of the webcomic JL8, are delightful to stop and chat with. Between commissions and the prints for sale, always expect to leave the galleries with a lighter wallet. Nerd swag was bountiful. This year, all the vendors moved to one location, the AmericasMart building. It was a smart decision to stick all of them in one place, but there was a clear difference between those on the first and second floors. The second floor was much larger; the first contained a bunch of little rooms where some vendors were difficult to locate. It seemed unfair to those on the first floor stuck in a corner room when the second floor was one giant space teeming with booths side by side. Some first floor booths were doomed to obscurity. Panels are a major attraction at any convention. The aforementioned creators and actors sat behind a table to answer any questions their fans invented, imparted advice or gave little lectures about their specialties. Fans followed “tracks” which guided them through the weekend to panels, events and workshops relevant to their interests. These included, but were by no means limited to, Video Games, Paranormal, Animation, Science Fiction Literature, Space, Whedonverse and Folk Singing. It can be overwhelming; there was the parade, the panels, the writers, the artists, the workshops, the costumes, the lines (still incredibly long), the late night raves and the Klingon karaoke. Attendees wanting to see everything were sorely disappointed and had to chart their time wisely. Feet were sore, arms burdened with bags of vendor purchases, heads pounded with the seemingly endless throng, patiences wore away as the lines somehow elongated. It was worth all the pain, though, for that time someone found an esoteric graphic novel they were craving for months. For that time a fangirl shook the hand of the artist who changed her life. For that time a fanboy proudly posed for the cameras in a handmade costume he finished the previous night. It was exhausting. It was thrilling. It was Dragon Con.